The opioid epidemic seems to have left no region of the United States unaffected. Drug abuse and overdose rates have soared nationwide over the last two decades. Over 42,000 Americans died as a result of an opioid overdose in 2016. Although the opioid crisis has claimed the most lives in Northeastern and Midwestern states like Ohio, New Hampshire, and New Jersey, it has also taken hold in seemingly unlikely places. Anaheim alcohol & drug rehabs are here to help with substance abuse issues. California is known for its warm, sunny beaches, its wine country, and its rolling hills. Its largest city, Los Angeles, is also known as one of the entertainment capitals of the world. Anaheim is a city outside of Los Angeles, in Orange County, with a population of 351,043. 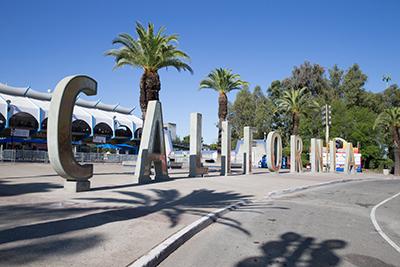 Anaheim is perhaps best known as the home of the Disneyland Resort, an 85-acre amusement park that is visited by over 40,000 people every day. Although Orange County is visited by thousands of vacationers and tourists every year and is home to some of the wealthiest people in the country, those who live there have also recently experienced an unprecedented rise in drug and alcohol abuse and overdose rates. Since the turn of the millennium, drug- and alcohol-related deaths have soared 82 percent in Orange County. Each year, approximately 5,500 people are hospitalized as a result of drugs and alcohol and 700 people die as a result of substance abuse in the county. As is the case in many counties across the United States, the primary cause of drug overdoses is opioids. Accidental overdoses of prescription opioids, including hydrocodone and OxyContin, make up nearly half of all overdose deaths in the county. When illicit opioids such as heroin are factored in, 66.8 percent of Orange County overdose deaths involve opioids. Mirroring national trends, men are twice as likely as women to die of a drug or alcohol overdose in Orange County. Although women are typically more likely than men to die from a prescription drug overdose, men are at much greater risk to die of an overdose related to illicit drugs like heroin. Surprisingly, older people are more likely to die of a drug overdose in Orange County than young adults or teens. According to recent O.C. Health Care Agency findings, 72 percent of all drug- and alcohol-related hospitalizations over the last few years were of patients between the ages of 25 and 64, with the majority falling between the ages of 45 and 54. If you or someone you love is suffering from a dependence on prescription painkillers, elicit opioids, alcohol, or other addictive substance, help is available. Drug treatment programs are effective and can help addicted individuals regain control of their lives. There are a variety of inpatient and outpatient treatment options for those suffering from substance abuse and drug and alcohol dependency in Anaheim, greater Orange County, and elsewhere. Keep reading to learn more about the process of substance addiction recovery and how treatment works. In most cases, the first step of drug treatment involves a thorough assessment of new patients. Drug assessments provide clinicians and addiction specialists at treatment centers with the information and tools they need to develop individualized plans for detoxification and treatment. The purpose of an initial drug assessment is to gain a thorough understanding of a new patient’s addiction. It is important for clinicians to be able to assess the patient’s current and past substance abuse patterns, identify underlying physical and/or mental health concerns, and understand the physical and psychological components of the individual’s addiction. Although the specific methods of evaluation differ substantially from treatment center to treatment center, initial drug assessments typically involve a variety of laboratory tests, which generally include a blood and urine sample. In cases where severe addiction is present—which is common in those dependent upon illicit or prescription opioids—a comprehensive medical exam is often also performed. In addition, most treatment centers also gather details about the new patient’s physical and mental health history and administer a variety of self-reported surveys. These tools allow clinicians and addiction specialists to gain a thorough understanding of the individual’s relationship with drugs and/or alcohol, use patterns, and his or her overall behavioral and mental health. Substance Abuse Subtle Screening Inventory (SASSI) – allows clinicians to assess whether or not new patients are suffering from substance use disorders by measuring their own perceptions and beliefs about their addictions. Alcohol Use Disorders Identification Test (AUDIT) – helps treatment staff determine the severity of new patients’ addictions (specifically to alcohol) by measuring their drinking habits and their attitudes and beliefs toward drinking. CAGE Questionnaire – assesses new patients’ feelings, thoughts, and experiences surrounding their relationship with alcohol. Depending on the treatment center and the needs of the new patient, different or additional survey tools may be used during the assessment process. In addition to the survey tools listed above, many treatment centers also perform a comprehensive mental health assessment to measure risk factors, assess the potential for self-harm, and identify the existence of any mood, personality, or anxiety disorders. It is common for individuals entering substance addiction treatment to experience anxiety and feelings of resistance prior to treatment. For those who have never been to treatment before, there are a great deal of unknowns about how the process works and what to expect, in addition to practical and logistical concerns about what to do about existing responsibilities during treatment. It can be helpful to do some research before entering inpatient or outpatient treatment about what you can expect from the detox and treatment process and gather as much information as possible about the treatment center you plan to attend. Many facilities have helpful information and frequently asked questions on their websites, and you can also contact treatment centers via phone or email to get answers to any additional questions or concerns you may have. If you have dependents or pets relying on you for care, ensure they will have someone to look after them while you are in treatment. Enlist the help of a trusted family member or friend, or look into local care options. Have a plan to pay any bills you may be responsible for while in treatment. There are automatic payment systems that you can sign up for, or you may decide to ask a friend or relative to pay your bills while you are away. It is important to inform your employer or school before entering treatment, so that they can plan for your temporary absence. It is important to note that all employees are entitled to 12 weeks of medical leave due to any serious health condition under the Family and Medical Leave Act (FMLA). These 12 weeks may be used for substance abuse treatment. Have a plan to pay for treatment. In many cases, insurance will cover most or all of the costs associated with treatment. In addition to ensuring you have a plan to take care of any practical concerns, it is also important to learn as much as you can about the rules and expectations of your treatment center. Many of these rules will be explained during the intake process; however, understanding what rules you will be expected to follow, what you may bring to treatment, and what to expect from detox and therapy will likely help to ease any anxiety you may have. The intake process varies substantially depending on the treatment center. In addition to the initial drug assessment described previously, most treatment centers ask new patients to read a series of documents explaining rules, regulations, and policies and sign consent forms. You will likely be asked to submit to a breathalyzer and provide a blood and/or urine sample or other drug test during intake. Additionally, most treatment centers arrange for new patients to meet one-on-one with a counselor or addiction specialist when they arrive for treatment. During this meeting, you will likely go over your medical and substance abuse history, discuss your concerns, expectations, and goals for treatment, and ask any questions you may have about what is to come. It is also important to bring any medications you are currently taking in their original packaging, along with a list of dosages, for the treatment center’s staff members to refer to. The last step of the intake process typically involves a tour of the facility, generally guided by a staff member or an existing patient. You will be shown your room and any communal areas including dining quarters and rooms where therapy sessions and check-ups may take place. The tour provides another opportunity to ask any questions you may have and meet other people in various stages of treatment. The prospect of undergoing detox and withdrawal are the biggest cause of anxiety for many people entering treatment for substance abuse, perhaps especially for those addicted to prescription painkillers or elicit forms of opioids. Physical and psychological opioid addiction cause changes in brain chemistry and wiring over time. Long-term abuse of illicit or prescription drugs cause the body to become physically and psychologically dependent upon receiving its normal dose of the addictive substance. When the body does not receive its expected dose, the brain responds and side effects typically occur. Detoxification refers to the period of time during which an addicted person’s body rids itself of the toxins and chemicals associated with the drug and the addiction. Opioid withdrawal symptoms can begin to appear within the first few hours after a person has stopped using the drug, according to the National Institute on Drug Abuse (NIDA). Every person experiences detox differently depending on the severity of their addiction, their individual biology, and other factors. In most cases, the most severe symptoms of withdrawal peak between approximately 24 and 48 hours of stopping the drug, although they may last up to a week or more. In extreme cases, symptoms may last several months, although their severity typically decreases substantially over time. Withdrawing from the long-term abuse of opioids can be dangerous. In addition, those undergoing treatment for opioid addiction are at increased risk of overdose in the case of a relapse compared to those in treatment for other substances. Due to the risks associated with opioid detox and withdrawal, it is typically recommended that patients undergoing detox for heroin and/or synthetic or prescription opioids do so under medical supervision. Detox and withdrawal is an important component of addiction treatment, but on its own, generally is insufficient to break the cycle of addiction and lead to long-term sobriety and recovery. Inpatient and outpatient treatment incorporates intensive therapies, support and supervision, and strategies to build coping mechanisms. Learn more about the treatment types below. Inpatient or residential treatment refers to rehabilitation programs that take place at a live-in facility, where patients live full-time. These kinds of programs are designed to help those with even the most severe addictions detox and recover. At inpatient treatment, patients can be supervised and medically monitored at all hours of the day and night. The safe, secure, and entirely drug-free environment provided at inpatient treatment centers allows patients to focus solely on treatment and recovery without distraction and temptation. Inpatient treatment typically involves both individual and group therapy (and sometimes family therapy), a controlled environment, and counseling and support groups. It is typical for inpatient treatment programs to last for 30 days, although in some cases they may last up to 6 months or even longer. The duration of treatment depends on a variety of factors including the severity and duration of the patient’s addiction, risk factors for relapse, and the substance to which the person is addicted. For those with severe opioid addictions, treatment often lasts longer than 30 days. In contrast to inpatient treatment, those undergoing outpatient rehabilitation for substance abuse and addiction do not live at the treatment center full-time. Instead, patients typically live at home or in a transitional sober living home during treatment and are required to report to the rehabilitation facility at specified times. Since outpatient treatment does not provide 24-hour medical supervision and monitoring, these types of programs typically require patients to submit to regular drug tests and check-ups. Although outpatient programs are typically thought of as less intensive compared to inpatient rehabilitation, they typically incorporate many of the same components, including individual and group therapy, support groups and counseling, and learning coping mechanisms. It is important to note that the intensity, duration, and particular requirements of outpatient treatment vary substantially depending on the program and the individual undergoing treatment. Although outpatient treatment is typically less expensive and intensive than inpatient treatment, these programs tend to last longer. These kinds of programs can be a good option for those transitioning out of inpatient treatment that require ongoing therapy and supervision, and may also be the right option for those with less severe addictions. Those with severe and/or long-lasting addictions to heroin or prescription opioids are often encouraged to attend inpatient treatment, since those addicted to opioids are at increased risk of overdose in the case of relapse, and detox can be potentially dangerous. In addition to traditional inpatient and outpatient programs, there are a few outpatient programs that offer many of the same components provided at inpatient treatment, including additional supervision and individualized care plans. Partial hospitalization programs (PHP) and intensive outpatient programs (IOP) combine aspects of inpatient and outpatient treatment and can be good options for those who require supervision and intensive therapy but who may not be able to commit to full-time inpatient treatment. One of the most important—and least talked about—components of drug abuse and addiction treatment is what happens after discharge. For most who have suffered from addiction, recovery is a lifelong process. The days, weeks, and months after inpatient or outpatient treatment has concluded are of vital importance for the ongoing sobriety of the recovering person. Having a plan for aftercare and continuing sobriety can be extremely important in preventing relapse and ensuring a healthy transition back to everyday life. Those recovering from severe addictions that have completed treatment at an inpatient facility are at increased risk of relapse. As discussed previously, for people recovering from opioid addictions, relapse can be potentially fatal. Aftercare greatly improves the odds of continued sobriety, and allows recovering patients to continue receiving peer support, supervision, and therapy to cope with the additional temptations and difficulties that may arise after treatment has concluded. Whatever your plan for aftercare, it is important that sober living and continued sobriety remain high priorities in your life following treatment. Each individual’s path to recovery is their own, and each person must continue to walk his or her own path after treatment has concluded. Whether you are in the midst of an addiction yourself, looking for help for a loved one, in the middle of treatment, or you have been sober for years, it can always be helpful to reach out, and it is always important to seek the help and support you need.